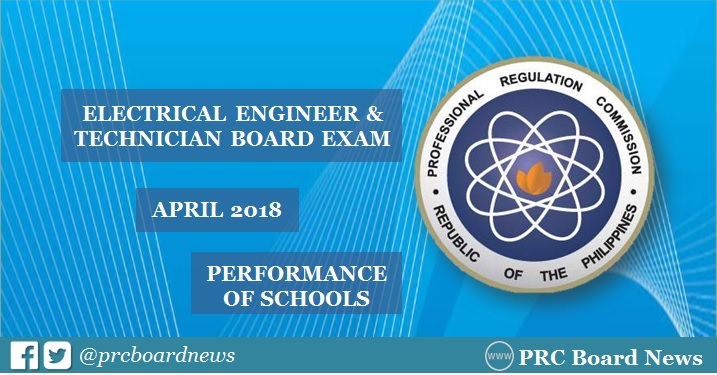 MANILA, Philippines - The Professional Regulation Commission (PRC) recognizes the top performing schools in the April 2018 Registered Electrical Engineer (REE) and Registered Master Electricians (RME) board exam. The results are officially released on Tuesday, April 24, 2018 or in three (3) working days after the exam. PRC administered the licensure exam on April 17 and 18 (REE) and April 19 (RME) in the cities of Manila, Baguio, Cagayan de Oro, Cebu, Davao, Iloilo, Legaspi, Lucena and Tacloban. Batangas State University (BatSU) - Batangas City dominated the REE board exams in April 2017, 88.31% passing rate. De La Salle University (DLSU) - Lipa led the RME board with 100% passing rate. In April 2016 REE board exam, BatSU was the lone top performing school having 84.21% while DLSU-Lipa got the highest place for RME, 92.21%.